The entire point of many amusement parks is to make safe things seem dangerous. But what about where an amusement park's m.o. is to make the dangerous seem dangerous? Consider the case of New Jersey's Action Park ("Class Action Park"). I first encountered Action Park in a short documentary that made the internet rounds a few years ago. The park is perhaps most famous for a failed attraction called the cannonball loop, a waterslide so outlandish photos of it look photoshopped. But that extraordinarily dangerous attraction was closed in just a few days. Other rides at Action Park flaunted their dangerous nature for up to two decades. The top line figure we might look at is the number of fatalities: six people died at Action Park during its twenty year run. But the number of deaths doesn't tell the whole story. By all accounts, an enormous number of people were seriously injured at Action Park due to the design of the rides and poor oversight (including allowing local 14-15 year olds to supervise). One particularly dangerous attraction was the Alpine Slide, a concrete luge run with no safety barriers or equipment except for often-defective brakes. So many people were injured on the run that management allegedly posted graphic photos of maimed children at the top of the slide to warn guests. In another indication that the park was fully aware of how dangerous its attractions were, it also allegedly helped the town of Vernon, NJ pay for more ambulances to accommodate its patrons. The reputation of the place--as a singularly dangerous amusement park--would seem to square with Cardozo's reasoning in Murphy v. Steeplechase. Most people knew that Action Park was legitimately dangerous, and that the danger was part of the fun. When the park recently re-opened, United States Senator Corey Booker tweeted "WOW! Action Park is back! I still have scars from long ago visits but I so want to go again[.]" So should we just think of Action Park as the amusement equivalent of mountain biking, rock climbing, or other inherently dangerous activities? Or does the "dangerous by design" nature trigger Cardozo's [perhaps dicta] suggestion that a park/ride could be so dangerous as to be beyond the scope of an assumption of risk affirmative defense? While learning all about Action Park, I stumbled upon the website Rideaccidents.com, a slightly dated but still informative collection of severe injuries and deaths from amusement parks around the world. It reminded me that perhaps the most dangerous amusement out there, at least on a per capita basis, is the dreaded bouncy house. 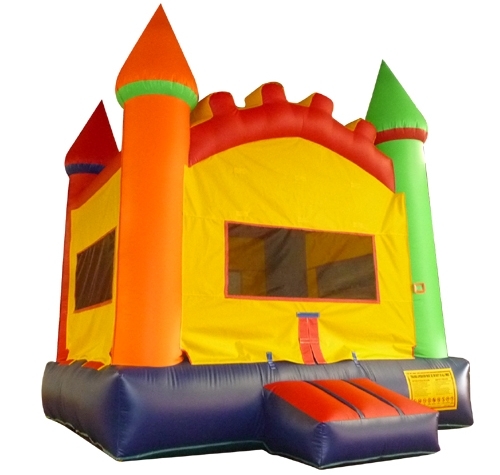 For the uninitiated, bouncy houses are basically giant inflatable trampolines, most popular among very little kids. The problem is that they are exceptionally dangerous, leading to a huge number of injuries and some deaths. Time Magazine (do you remember magazines?) called bouncy injuries an "epidemic," and a study in the journal Pediatrics claimed that in 2010, 31 American emergency room visits per day were due to bouncy house injuries. Unlike Action Park and the Flopper, the danger of bouncy houses is perhaps a bit unintuitive--they are essentially huge airbags, after all. And the number of injuries is no doubt compounded by the fact that they are generally not found in amusement parks but instead town carnivals, outside local sporting events, and even birthday parties--that is, the people in charge are not necessarily professionals. So how would Cardozo look at a bouncy house injury claim?